For Stabile S.p.A. training is a philosophy of thought. Every single moment of our life can be an occasion for some training and for improving our knowledge continuously. For this reason, our courses for our dealers are focused on a better technical knowledge of our products, so that they can optimize their purchases, their stocks and the sales of our flue systems. 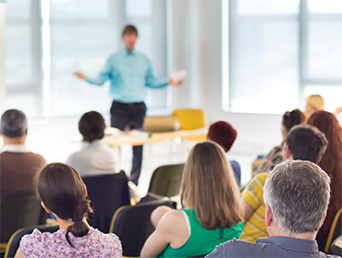 Furthermore we organize specific courses of technical and rule training addressed to the installers, in order to keep them always up-to-date on the national Standards and on the laws in force. 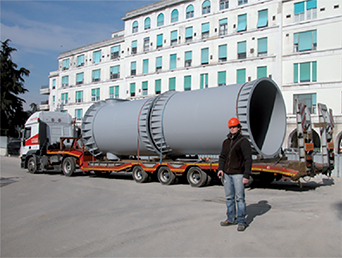 The technical assistance of Stabile S.p.A. is provided by a qualified staff with years of experience, who ensures our customers a global support. Contacting our technical staff, you can ask for inspections on site, thermo-technical projects, appraisals, sizings of special systems, thermo-fluid dynamic calculation reports and post-sale technical support. 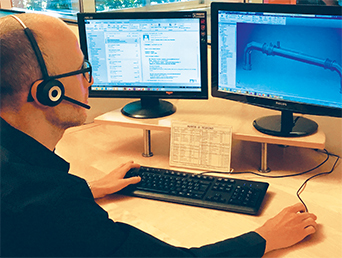 Thanks to specific softwares for 3D CAD design we design and produce special flue systems – with a specific structure in their components, specific materials with specific sizes – for which we design specific supports. Through the analysis of feasibility and through the analysis of the static behaviours simulated on 3D vector platform, we can check the reliability of the designed structures (FEA – Finite Element Analysis); depending on the results we get, we revise every single component to improve the safety of the macrostructure and of every single element that has been designed. Everything in the full respect of the corresponding product and installation Standards.